This was what America was hoping and praying for: Monarchs. We asked for a flock of Monarchs sizable enough to send back down to Louisiana. Enough of them that we could believe that the Miracle of the Monarch migration would continue for our children and grandchildren. Winged beauties are known to naturalists around the globe. Why? Because these ounces of lovely defy all odds, all naysayers, and fly the miles from Toronto, Boston, Albany, Teaneck, Pittsburgh, Cleveland, Charlottesville, Alexandria . . . all the way to Mexico. The science of the migration is mostly understood, sort of. This too adds to their mystique. Mystique is hard to come by nowadays. 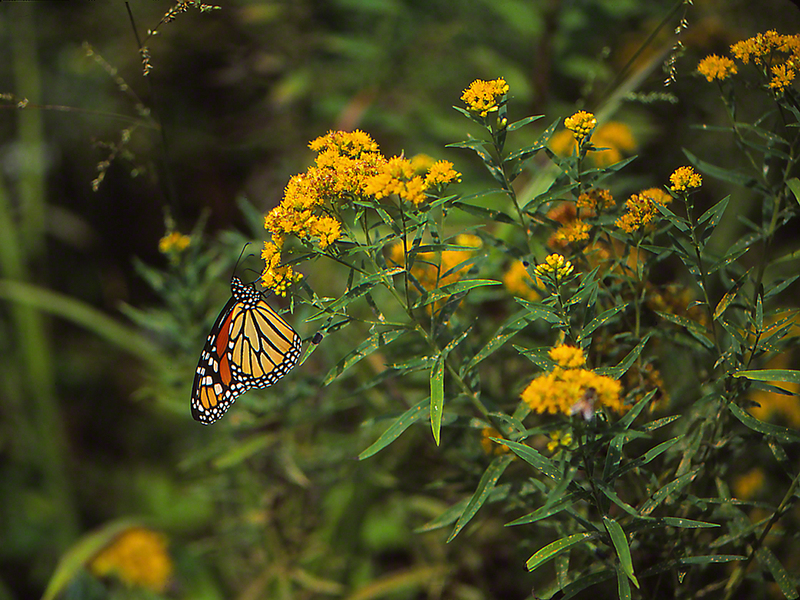 Danaus Plexippus still titillates us, even in 2015. Just look at her. She’s strikingly beautiful, in Doak field on September 5th, as she methodically drinks nectar, pleased that several species of goldenrods would drip unlimited juice. Oh, and she was there with happy Jeff, happy to share those 100+ acres of field with an unpretentious, drop-dead beauty. yes, awesome. some time ago i read, more than one milliard migrant monarchs are arriving in finland in the springtime. they are rambling unbelievebable 4000 kilometers from mexico to the north!